Fincantieri has been engaged in submarine construction for nearly 100 years, building a wide range of submarine types for the Italian Navy. This tradition continued in 1997 when the contract was signed to build a new class of submarines for the Italian Navy, based on an existing German design but modified by the Italians. Called the U212A, the submarine is capable of remaining submerged for long distances. 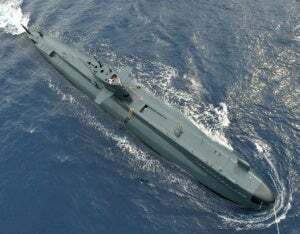 Fincantieri had already built two U212A submarines for the Italian Navy, and in August 2008 the Italian Government placed an order for two additional submarines of the same class for delivery in 2015 and 2016. These are now under construction at the Fincantieri Muggiano shipyard. Included in the modifications made by the Italian Navy to the German submarine design were significant changes to the safety and escape systems. The design changes were carried out to meet the specific requirements of the Italian Navy, which demanded more extensive and sophisticated escape and safety systems. Four new safety systems are being incorporated into these submarines, including the development and integration of an onboard emergency escape system. This involves the flooding of a small area allowing the submariners to escape but not flooding the whole vessel so that the submarine remains salvageable. QinetiQ was engaged by Fincantieri on behalf of the Italian Navy to provide independent advice. This included escape and safety system design support in the development and integration of a new onboard emergency escape system. The primary challenge faced by the Fincantieri project team working on the safety system modifications and additions was that they did not have the expertise and specialist knowledge associated with the impact of depth on human physiology. Fincantieri required a cost-effective escape solution with minimum impact on the submarine build programme. In addition, they needed independent assessment and specialist advice on the critical components that were to be used in the design of the onboard safety system. QinetiQ was engaged from the outset of the new submarine construction project in an advisory capacity and was initially commissioned to carry out a feasibility study. In addition, the QinetiQ SMERAS team was tasked with assessing Fincantieri’s ideas and approach to the development of a state-of-the-art onboard submarine escape system. "QinetiQ made a big contribution towards our deliverables to the Italian Navy. They supported us throughout the review processes acting as our independent advisor. The Italian Navy were also very satisfied with their work." As part of QinetiQ’s work, key components of the safety system were evaluated as the design was developed. For example, pressure controllers that were already available on the market were tested for fitness for purpose. When the Italian Navy accepted the proposed onboard escape system QinetiQ was retained as advisor for the next stage of the project and to test the equipment used in the system build. QinetiQ was contracted to do this work not only because of its deep knowledge of submarine escape and safety systems but also because of its extensive range of unique testing equipment and facilities, which had already been used successfully for Sauro Class Submarines. "In addition to making use of QinetiQ’s testing facilities we also engaged them to support our harbour tests and sea trials, where they used their range of mobile assessment equipment including flow meters, pressure meters and mannequins. However, most importantly, QinetiQ used their own powerful evaluation software which has been created through their extensive SMERAS experience," observed Davide Mioni, project engineer, platform subsystems, Fincantieri. Following the harbour tests and sea trials QinetiQ issued its final assessment report. Based on these results QinetiQ was able to confirm the system and its components as fit for purpose, which was important for both Fincantieri and the Italian Navy. During the project, QinetiQ carried out three main design reviews during which time the Fincantieri project team were able to confidently proceed with ordering equipment for the escape system. "QinetiQ made a big contribution towards our deliverables to the Italian Navy. They supported us throughout the review processes acting as our independent advisor. The Italian Navy were also very satisfied with their work," said Davide Mioni.